Here are three popular recipes shared during past National Cornbread Cook-offs, part of the National Cornbread Festival held the last weekend in April in South Pittsburg, Tennessee. Click here to see a separate Bakery Boy Blog post about the National Cornbread Festival. Preheat oven to 350°. In a large bowl, sift together flour, cornmeal, sugar, baking powder, and salt. In a separate bowl gently toss strawberries in ½ cup of flour mixture. Whisk together yogurt, butter, and egg. Stir yogurt mixture into flour mixture just to moisten. Fold in strawberries. Spoon batter into prepared cast-iron pan. Bake 25 minutes. Heat oven to 375°. Grease an 8- or 9-inch skillet; place over medium heat while preparing cornbread batter. Stir melted butter into cornmeal and add sour cream, corn, and eggs, blending well. Spoon half of the batter into the greased hot cast-iron skillet. Sprinkle batter with cheese and chile peppers; cover with remaining batter. Bake for 35 minutes, until nicely browned. Preheat oven to 350°. Grease two 9 x 4½ loaf pans and set aside. In a large bowl, whisk together yellow cornmeal and flour. Heat butter and brown sugar in a small saucepan over medium-low heat just until melted and whisk until mixture is smooth. Remove from heat; whisk in milk and then eggs. Pour into dry mixture, stirring just until blended, and divide evenly between prepared pans, smoothing the tops. Bake in the middle of the oven until loaves are golden and cake tester inserted in the centers comes out clean, about 30 minutes. Recipes reprinted with permission from the National Cornbread Festival and Lodge Cast Iron. 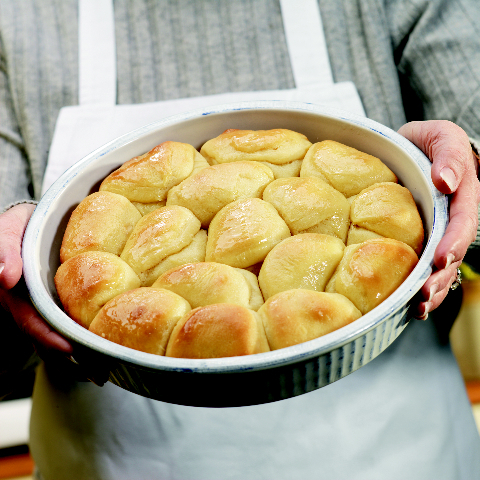 The down-home baker known simply as “Sister,” whose irresistible yeast rolls are legendary in the South, shares recipes and her inspiring story in her cookbook, Cast Your Bread Upon the Waters. 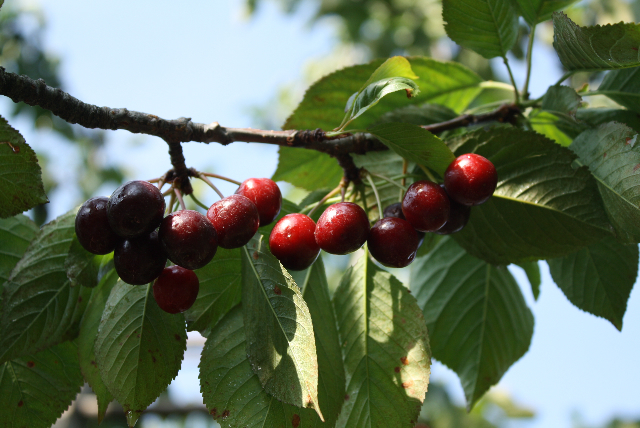 • Because they consistently taste terrific, from buttery to sweet to savory ends of the brown-and-serve spectrum. • Because they’re as easy as picking up pans from the grocer’s freezer case and popping them in the oven for 20 minutes. • Because Sister Schubert, a fine southern lady from the heart of Alabama, supports worthy charities through a foundation she created when her bread business grew from a home kitchen project into a nationwide juggernaut. • And because I met her recently at a book signing and learned first-hand that she’s genuine “good people,” as we say down south without fretting the grammar. THERE’S A BOOK? That there even was a book signing to attend, and thus a book, set off bells in my bakery-obsessed mind. I thought, if Sister Schubert has a cookbook out, I can make my own Parker House rolls, cinnamon rolls, buttermilk biscuits, orange rolls, and sausage wrap rolls, just like hers. I got a copy of Cast Your Bread Upon the Waters—Recipes for Success, Cooking & Living, and sure enough recipes for some if not all my favorite Sister rolls are included, plus many more unrelated to her frozen-rolls empire. I baked several items before going to meet her, glad to add new recipes and techniques to my personal arsenal. Even with her book in hand, I will continue picking up store-bought Sister Schubert pans. Partly because making any kind of bread at home is very time consuming. Partly because it’s just too easy, at the supermarket, to grab those green-striped packages with Sister’s smiling face on them and know that at least that part of tonight’s dinner is taken care of. Everlasting Rolls based on her grandmother's launched Sister Schubert's empire. SHE’S GOOD PEOPLE Patricia Schubert Barnes of Andalusia, Alabama—dubbed “Sister” as a child by a sibling—ranks as a food celebrity in her home state. 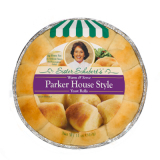 Locally the story is well known about how she started baking Parker House-style rolls the way her grandmother, known as “Gommey,” taught her, first for family, then for church fundraisers where they were an instant sensation, and soon for the world. “I went from baking in my kitchen with a little Sunbeam mixer, to expanding onto my sun porch, to taking over 1,000 square feet in a furniture warehouse my father owned, to renting a 25,000-square-foot building, to moving into a 100,000-square-foot building in just a few short years,” Sister says of the business she launched in 1986. “BRAND AMBASSADOR” Sister sold her company to a larger entity, Lancaster Colony Corporation of Columbus, Ohio, but she and her husband, George, remain involved in running the Sister Schubert division. “My title now is Founder and Brand Ambassador,” she told me during her book signing at Birmingham Bake & Cook Company. “I do speaking engagements, appear on TV food shows, autograph books at kitchen supply shops and bookstores, and talk about Sister Schubert’s Homemade Rolls at every opportunity. 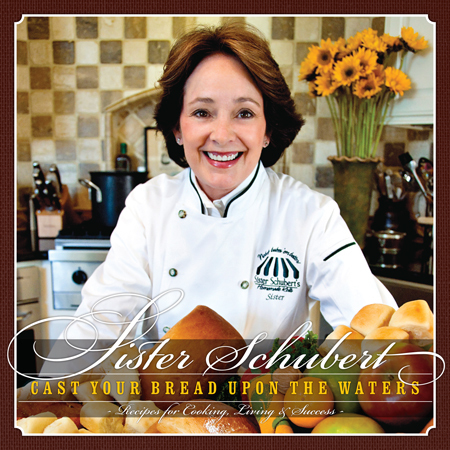 THE BOOK Cast Your Bread Upon the Waters, a good holiday gift idea for bakers and cooks, shares some of Sister Schubert’s best recipes. Her grandmother’s basic Everlasting Rolls (the Parker House rolls that started it all) come first, followed by variations with cheddar cheese, sausage, orange, or cinnamon. She veers into non-baked items such as with smoked salmon crepes, cheesy shrimp and grits, artichoke crab dip, and chicken and sausage gumbo. But she quickly returns to her popular takes on cornbread, muffins, biscuits, scones, focaccia, challah, hot cross buns, something called tipsy eggnog bread, three kinds of pound cake, and more. Find two excellent recipes—for corn muffins and focaccia—at two related posts here on the Bakery Boy Blog. Besides recipes and beautiful pictures, the book also shares Sister’s outlook on life, faith, family, and community. Bible quotes appear, from a favorite psalm (“Let the words of my mouth and the meditation of my heart be acceptable in thy sight, O Lord, my strength and my redeemer”) to a verse from Corinthians (“No eye has seen, no ear has heard, no mind has conceived what God has prepared for those who love him”). Amen to that! And please pass the dinner rolls! To order a copy of Cast Your Bread Upon the Waters by Sister Schubert (© 2009 CECA Enterprises LLC; $40), visit castyourbreaduponthewaters.com. Sister Schubert provided a copy for this review. For more about the Barnes Family Foundation, to which a portion of the proceeds from the sale of Cast Your Bread Upon the Waters goes, visit www.barnesfamilyfoundation.org. 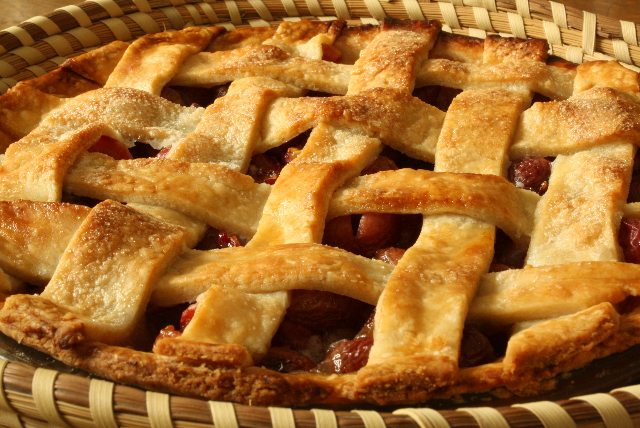 Two recipes from Sister Schubert’s book appear on the Bakery Boy Blog. All 75 recipes in this tipsy cookbook include strong spirits, the results not of a barfly lifestyle but of one food writer’s devotion to never wasting a drop. 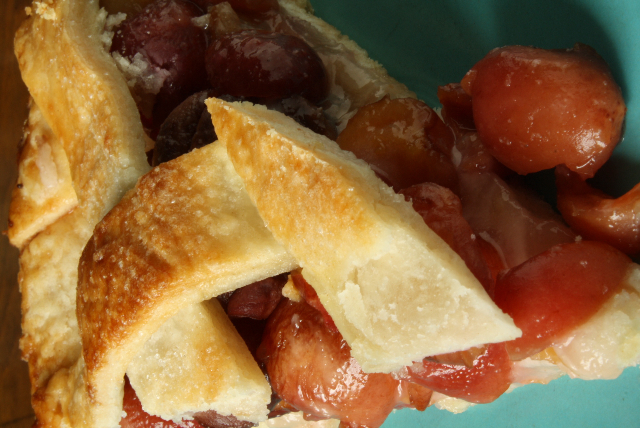 Why bake with booze? It’s a question Lucy Baker gets asked a lot now that she’s written her first cookbook, The Boozy Baker: 75 Recipes for Spirited Sweets (2010, Running Press, $18.95). 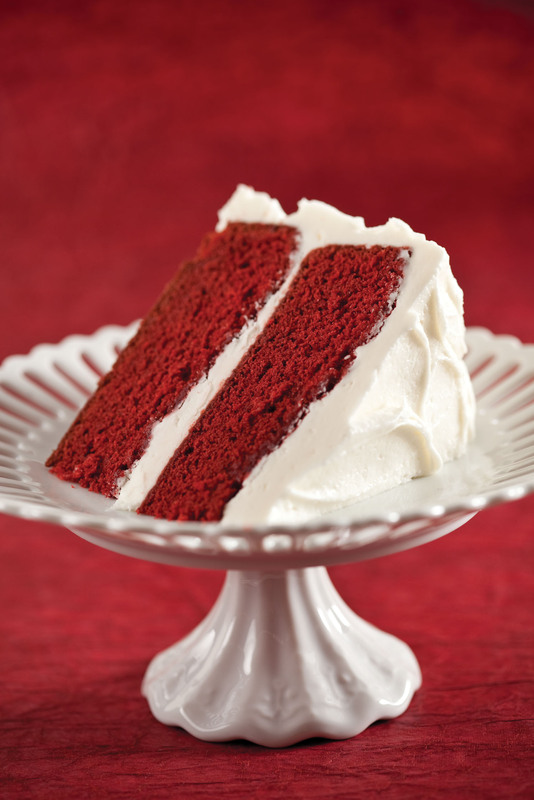 That’s why her cakes, pies, tarts, cookies, brownies, mousses, and other tasty creations include stiff belts of bourbon, brandy, gin, rum, tequila, vodka, whiskey, or the high-impact flavors that come with cognac, crème de cacao, framboise, Jägermeister, sake, schnapps, stout beer, and other potent beverages. BORN TO BAKE Lucy grew up baking brownies with her mom and snacking on cookies with her dad, positive experiences she says made choosing her career path easy. A freelance food writer and recipe tester, she contributes two columns to the online food website SeriousEats.com (Mixed Reviews, a hands-on and critical look at boxed mixes on the market, and Edible DIY, a guide to edible gifts you make yourself). 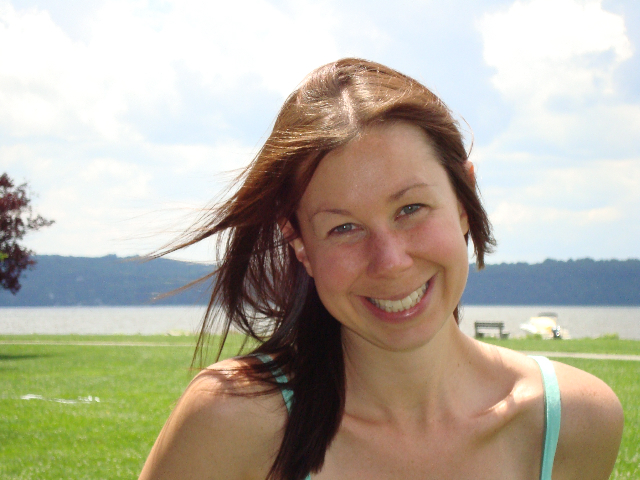 For three years she helped edit cookbooks for publisher HarperCollins, and she has written articles for Edible Brooklyn, Publishers Weekly, Popular Mechanics, and Time Out New York. The Master of Fine Arts degree in creative writing she earned at Sarah Lawrence College in Bronxville, New York, helps explain the pleasant storytelling nature of her cookbook. FAVORITES I was drawn first to Lucy’s recipes for Molten Chocolate Orange Cake, a gooey mess in the trendy “lava” category, loaded with bittersweet chocolate and Grand Marnier, and Bottoms Up Pineapple-Tequila Cake, partly because I had just bought the perfect pan for it and partly because I had a couple of inches of tequila left in a bottle and appreciated finding a hangover-free use for it. Later I tried the Cherry Pie with Scotch and Walnut Crumbles (I’m a scotch fan and walnut trees grow on my parents’ farm); the Red Wine Caramel Tart (my wife likes red wine and I never pass up caramel anything); and the Blueberry-Port Slump with Almond Dumplings (because I raise blueberries and always look for new ways to bake them). Everything turned out well. Eventually I’ll make the Dirty Girl Scout Cookies, Dark and Stormy Hermits with Raisins and Rum, Boozy Baked Apples, and Pink Elephant Milkshakes, if only for their fun names. 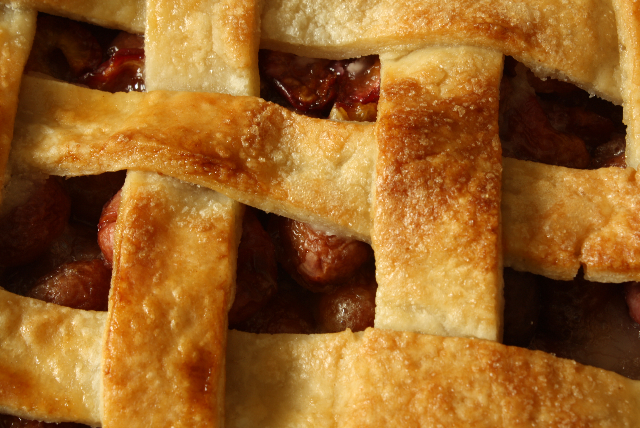 My compliments—and cheers—to the chef! SAMPLE RECIPES Lucy and her publisher, Running Press, graciously agreed to share two recipes from The Boozy Baker with the Bakery Boy Blog. Sneaking a swig of vanilla extract from her mother’s pantry as a child—it didn’t taste at all the way she expected, warm and sweet like its aroma—was part of Lucy’s journey to professional foodie. 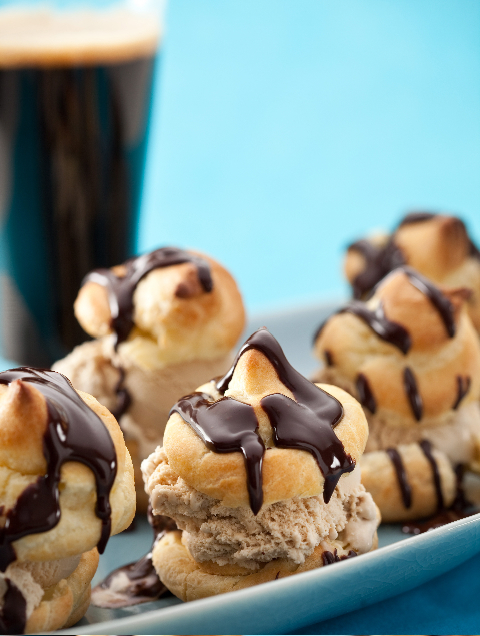 Here’s her Boozy Baker recipe for concocting your own. Rinse a clean, empty jam jar or a mason jar with boiling water to sterilize it. Set aside. Split the vanilla beans in half lengthwise with a small, sharp knife. Add them to the jar. Pour the bourbon over the vanilla beans and screw the jar’s lido tightly. Give the jar a few good shakes. Place the jar in a cool, dark cabinet or closet and let it steep for 8 weeks, shaking occasionally. The extract will darken over time. Homemade Bourbon Vanilla Extract can be used in place of store-bought vanilla extract in any recipe. There is no need to remove the vanilla beans. Makes 1 cup. 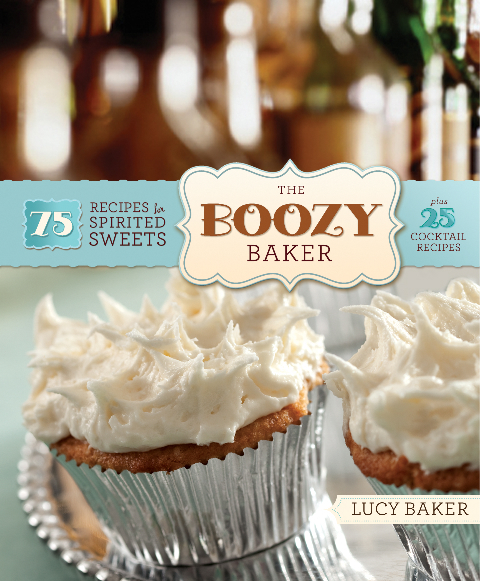 A review copy of The Boozy Baker: 75 Recipes for Spirited Sweets by Lucy Baker was provided by Running Press, a division of Perseus Books Group; (215) 567-5080.